A key battle that could shape the future of the navy's multi-billion dollar frigate replacement program has been playing out behind-the-scenes in Ottawa this week. At stake is a demand by the federal government that warship designers sign over access to a vast swath of intellectual property data. A key behind-the-scenes battle, which could affect the future of the Trudeau government's multi-billion dollar frigate replacement program for decades, has been fought this week in the back rooms of Ottawa. It relates to an overarching demand by National Defence and Public Services for ship designers to hand over virtually all their intellectual property data for the complex combat systems that would be installed on the warships. A copy of the draft request for proposals, obtained by CBC News, shows the federal government is asking companies competing to design Canada's next generation of warships for all their foreground and background data. The government will be the owner of the information — including critical software coding — but will license it to Irving Shipbuilding, the prime contractor on the project. An expert in defence procurement calls it an outrageous blunder by the former Conservative government that the Liberals urgently need to correct. "The bureaucrats that have proposed this have gotten themselves in a bind here, and no minister should tolerate this," said Alan Williams, who used to be procurement boss at National Defence. A series of closed-door meetings took place this week involving federal officials and Irving representatives. Another series of meetings will take place in Halifax on Aug. 15-16 with ship designers who want to bid on the Canadian Surface Combatant program, which is expected to cost $30 billion or more. Among the companies in line to provide an off-the-shelf design include British-based BAE Systems Inc.; DCNS, the French warship-maker; and U.S. defence giant Lockheed Martin. The intellectual property issue is "huge," according to several government and industry sources who spoke to CBC News on background because they were not authorized to discuss the matter publicly. The data is crucial not only for ship construction, but for the lucrative long-term maintenance contracts that will follow. If the government doesn't get the negotiation just right, it could cost taxpayers untold hundreds of millions of dollars down the road in licencing fees, and even restrict the military's ability to update and use its own equipment. Williams said the growing disagreement could see a significant number of designers and combat systems companies bow out of the competition even before the government issues a request for proposals. That tender call could come in late August or early September, according to sources who have knowledge of the file. "They might say: 'It's not worth it; I'm just not going to bid,'" said Williams. "Every company is going through this soul-searching exercise, asking themselves, 'How badly do we want this? And how much of our business are we willing to compromise in order to get it?'" Who gets access to data? The fear among bidders is not necessarily what Irving might do with data as much as who among the shipyard's partners and consultants — including the U.S. naval warship architecture firm Gibbs & Cox — will have access to the licenced information. 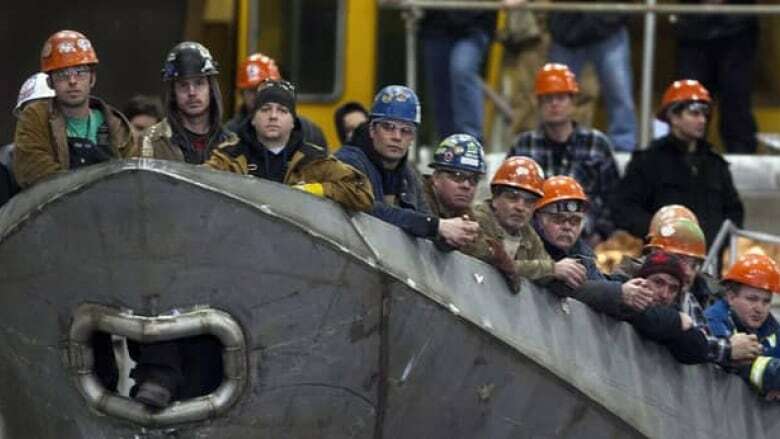 In a statement, Irving Shipbuilding said it was committed to safeguarding the data. "For the CSC program, discussions with Canada have only contemplated that any long-term IP rights will flow to Canada, with Irving Shipbuilding having a right to use CSC IP to the extent required to satisfy its CSC design and build contracts," said spokesman Sean Lewis. "There has been nothing discussed that would put Irving Shipbuilding at an unfair advantage or unique position during the operational life of the ships." For a Liberal government committed to innovation and growing the economy, the intellectual property issue playing out this summer is not inconsequential. The government has been under enormous pressure for the frigate replacement program to deliver technology transfers for Canadian companies. Some defence industry sources say the issue is not so much about Irving's management of the information, but more about how the federal government is asking for too much data from the bidders. Williams says federal lawyers assigned to the file should be more sophisticated and that the issue is being handled in an amateur fashion. It also, in his estimation, speaks to the pitfalls of the Conservative government's decision to name Irving as the prime contractor. "This kind of nonsensical situation could have been easily foreseen," he said. Recent published reports have raised separate concerns about how much sway Irving Shipbuilding has in the process. 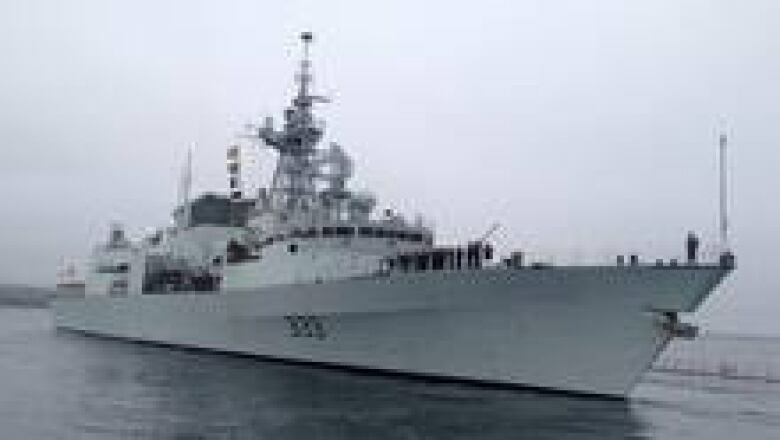 Companies wanting to bid on the frigate replacement program have been told that, if they win, they can't lobby the federal government without written approval from the East Coast shipyard.